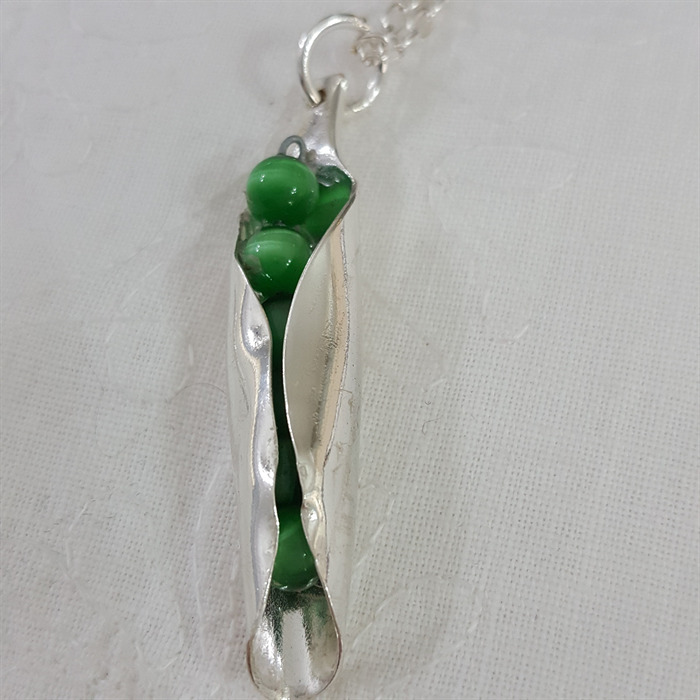 This vintage silver plated spoon curls around the glass beads and makes it look like a pod of peas. An original design which is very eye-catching. 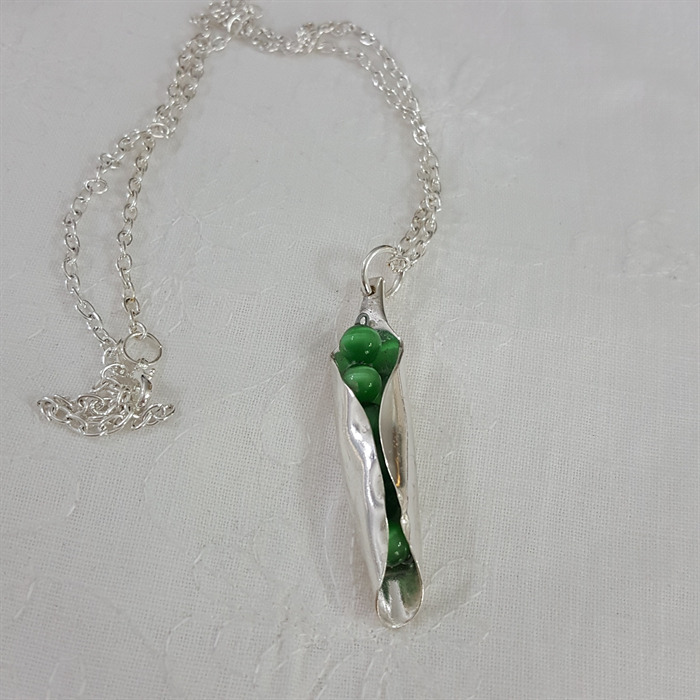 The pendant hangs from an adjustable 50 cm silver plated chain.